Having formed in 2007 and channeling influences such as The Cure, The Smiths, Fugazi and The Velvet Underground, Ringo Deathstarr have previously released a batch of singles on both sides of the Atlantic and in Japan. Their debut album Colour Trip was recorded at The Bubble in their native Austin in the spring of 2010. The 11-track album is produced by Computerboy. Recorded quickly and recalling the pop thrill and sonic squall of prime-time Mary Chain or Strawberry Wine era MBV, the album has already been lauded by the likes of Pitchfork and Nylon. 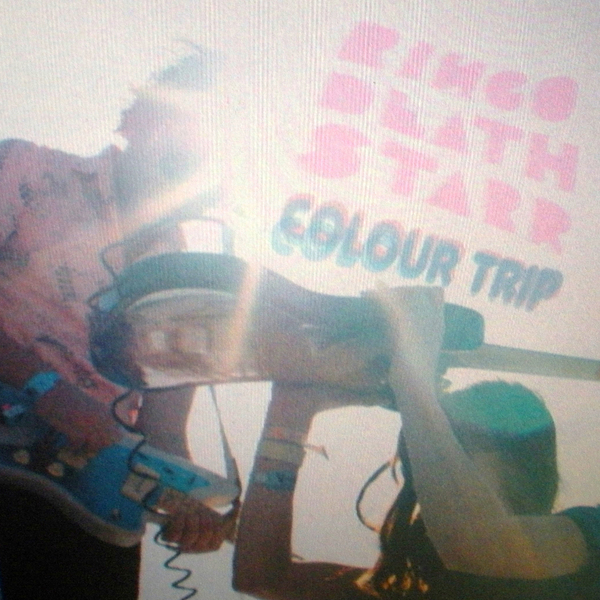 Ringo Deathstarr are: Elliott Frazier (guitars & vocals), Alex Gehring (bass & vocals), Daniel Coborn (drums).